Find hotel near Easy Laughs Comedy Theate ..
Easy Laughs Comedy Theater in Amsterdam is a great way to spend your evenings laughing in the city. The theatre has some of the best performances in the destination that you can enjoy with your friends and family. The cast of the theater is both Dutch and English speaking and thus you are sure to enjoy your evening in the place. The group focuses on improving comedy and sees many tourists. Take a tram from Amsterdam, Korte s Gravesandestraat. Take a tram or bus from Amsterdam, Alexanderplein. 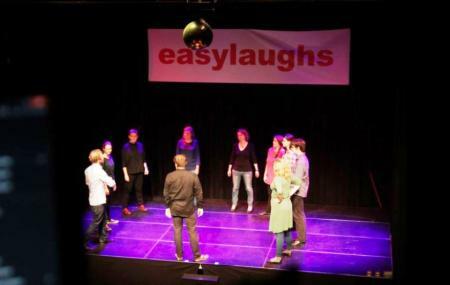 How popular is Easy Laughs Comedy Theater In Amsterdam?